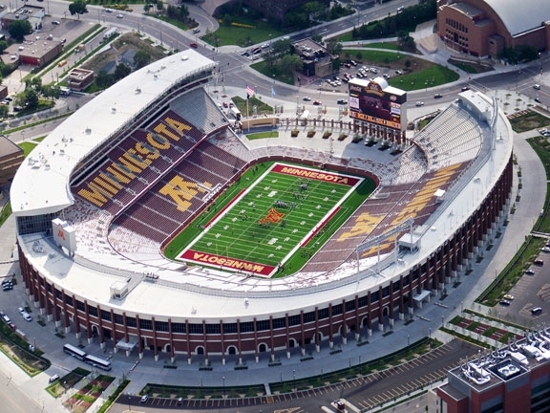 TCF Bank Stadium is the Gophers home for Big Ten Football! 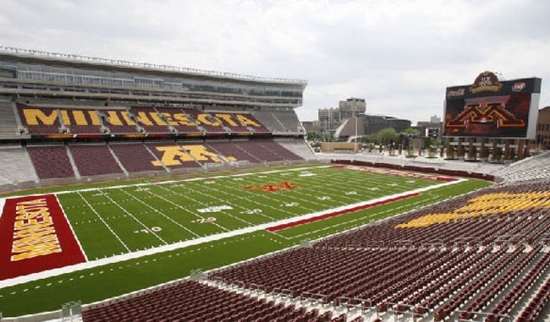 The process of building an on-campus stadium began in 2003 when the University of Minnesota began exploring their options for this new facility. Our dreams became a reality on January 23, 2007 when the Board of Regents approved the schematic design and budget for TCF Bank Stadium. In July 2007, construction officially began and our home is now complete. 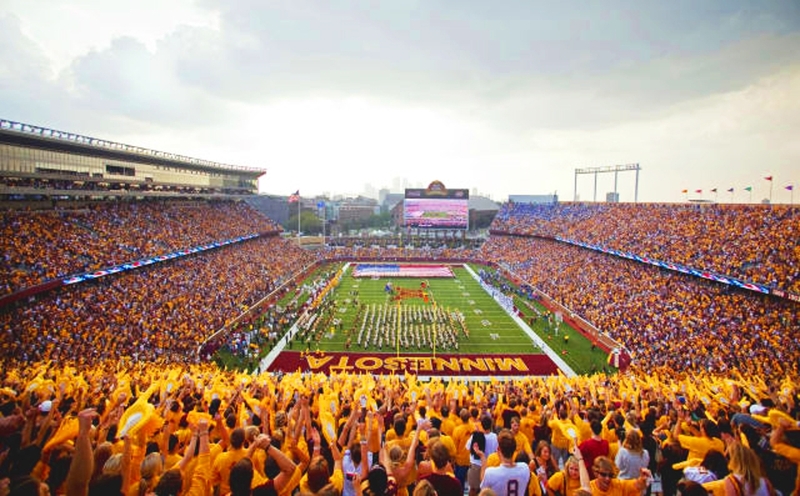 The stadium is not just a home for Golden Gopher Football and the University of Minnesota Marching Band; it is the home of college football tradition for all the residents of Minnesota. In honor of the support provided by the State of Minnesota and its residents, the TCF Bank Stadium promenade is lined with 87 plaques representing the 87 counties of Minnesota. This stadium was also constructed with the support of the students of the University of Minnesota - "Hats Off to Thee!" The Minnesota Vikings and the Golden Gophers have a history of collaboration and a willingness to help each other. A the beginning of the 1982 College season, the Gophers played their home games at the Metrodome stadium, the Vikings themselves played at the TCF bank stadium in 2010, due to problems with the Metrodome roof. In this same spirit of long term cooperation the Vikings will make the stadium their home for the 2014 and 2015 seasons. If sports betting sites are to be believed, the Vikings are not expected to bring silverware to the stadium, see Betway.com, however hopefully Minnesota spirit and a sense of long term unity can fire them to defy predictions and to glory. The Veteran’s Tribute will honor all Minnesota veterans of past, present and future conflicts. 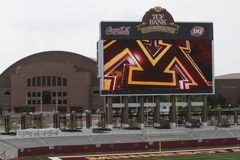 The Tribute is located on the southwest corner of TCF Bank Stadium, between the main scoreboard and Gate E.
The Videoboard in the East End Zone is the third-largest videoboard in all of college football. It was designed and built by Daktronics; the videoboard is 48 feet high by 108 feet wide (comparable to the size of the basketball court in Williams Arena) and includes Daktronics HD-16 light-emitting diode (LED) video display technology.